Need to Install or Repair Network Wiring in Athens? 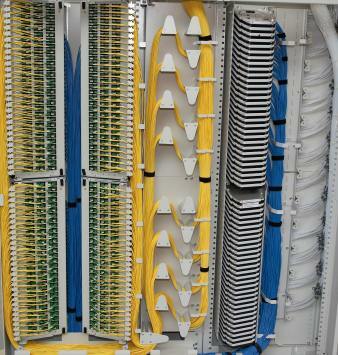 It’s essential to find an experienced contractor when planning to install network wiring in Athens, Georgia. Network systems provide an important service in many homes and businesses, and Meehan Electrical Services has worked together with clients all across Athens on network installation, expansions and connections. Our trained installers handle every network system with care, from data cables and outlets to television wiring, telephone systems and sound system wiring. Meehan Electrical Services technicians are highly trained, extremely knowledgeable and fully equipped to handle any type of Athens network wiring project. Meehan Electrical Services also provides network design advice, testing and troubleshooting for complete local support. Timing is important. And when damage, renovations or expansions crash the network, Athens customers rely on the prompt service of Meehan Electrical Services to bring that system back up. Meehan Electrical Services has completed countless installations of network wiring in Athens, Georgia, and continues to offer support for those satisfied local customers. Invest in professional quality service that won’t break the budget. Meehan Electrical Services offers network wiring in every corner of Athens for an affordable rate. From big jobs to small expansions, repairs and installations, the trained staff at Meehan Electrical Services help you to stay on budget while building a reliable network system. Plan to hire the pros at Meehan Electrical Services to handle your network wiring in Athens, Georgia. With expert technicians and prompt, reliable service, all for an affordable cost, Meehan Electrical Services continues to build a reputation in the electrical and network wiring industry. Call (706) 717-4947 today to book an estimate on your project.